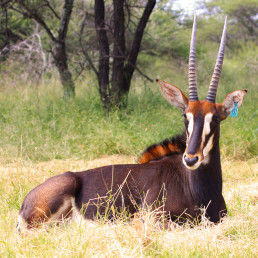 Since 1990 up to 1992 the first animals were introduced to the Ranch from Kwazulu Natal Park’s board. 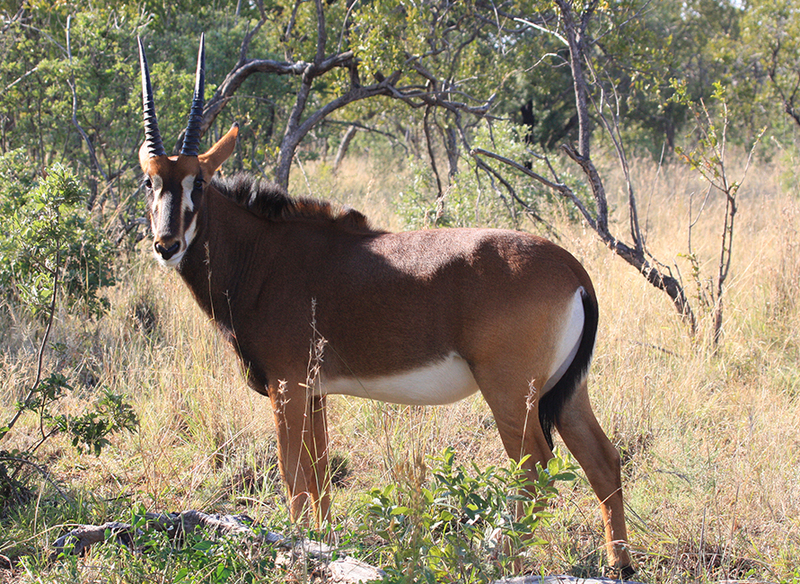 These animals included White Rhino, Black Rhino, Lictenstein’s Hartebeest and Hippos. Unfortunately due to poaching throughout the years, all the remaining Rhino on the reserve were sold at the beginning of 2014. 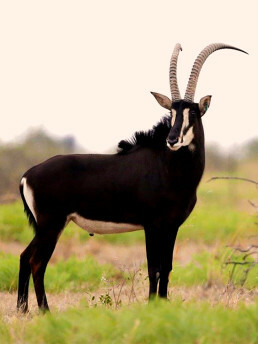 From 1990 to 1993, Tanzanian Sable antelope from Nyika National Park in the Northern parts of Malawi were introduced to Sable Ranch and Zimbabwe, Matetsi Sable antelope were also purchased from communal lands in the North and East. 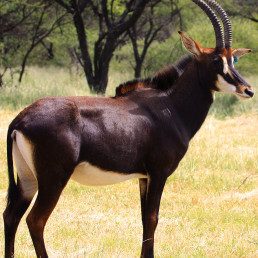 In January 1994, Mr. Keeley exchanged 6 white rhino that were released in the Livingston Park for Western Zambian Sable which were caught in Kafue National Park in the far North West parts of Zambia. 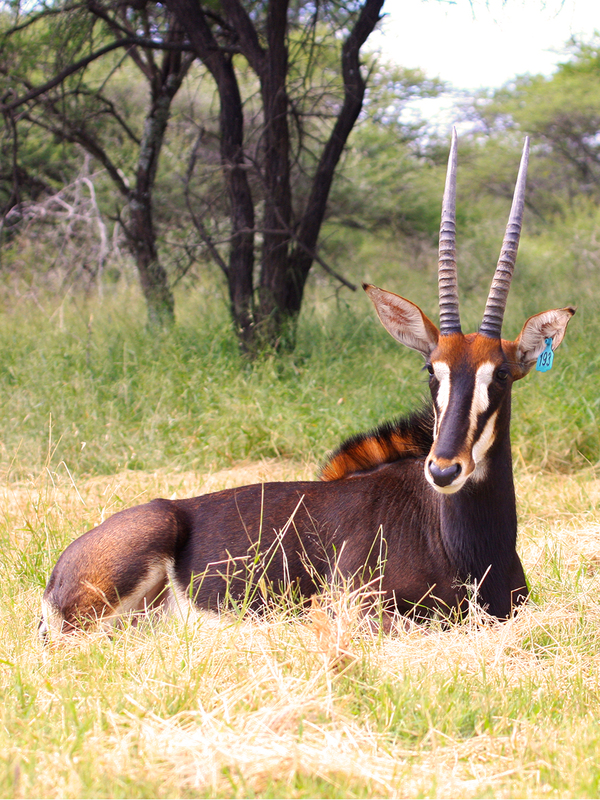 Sable Ranch is well known for its high-quality Sable which were all brought in from the original breeding areas in Africa. 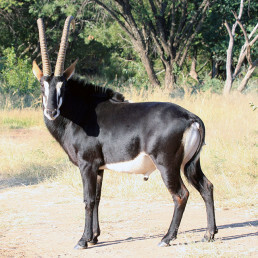 The sire Madala (48”) of the famous Western Zambian bull, Piet (53.5”) (Piet Warren) was originally bought from Sable Ranch by Mr Chris Visser. 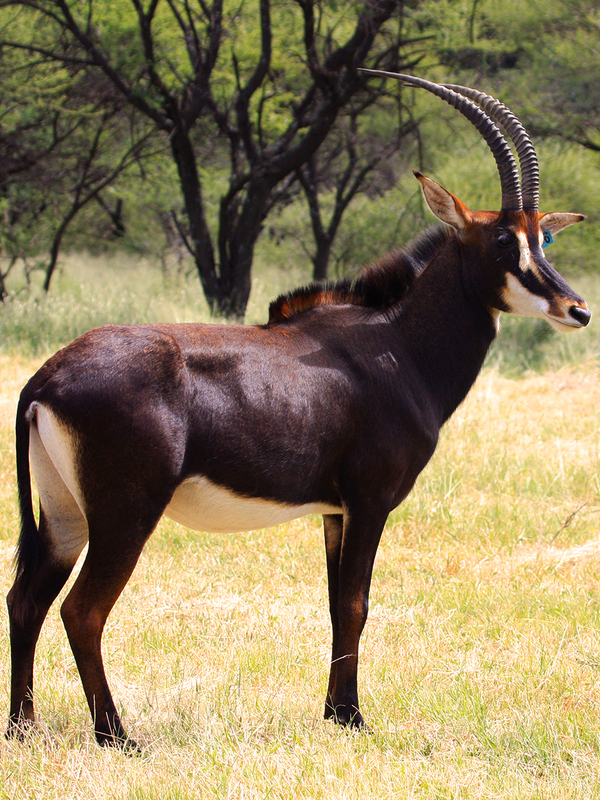 Sable Ranch has kept the different original Sable antelope bloodlines pure and not crossed since the time of inception in our breeding programm making Sable Ranch home to some of the best genetic bloodlines. 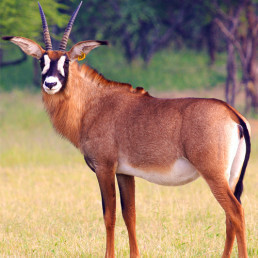 In November 1991, Roan antelope were introduced into a specialised breeding camp. 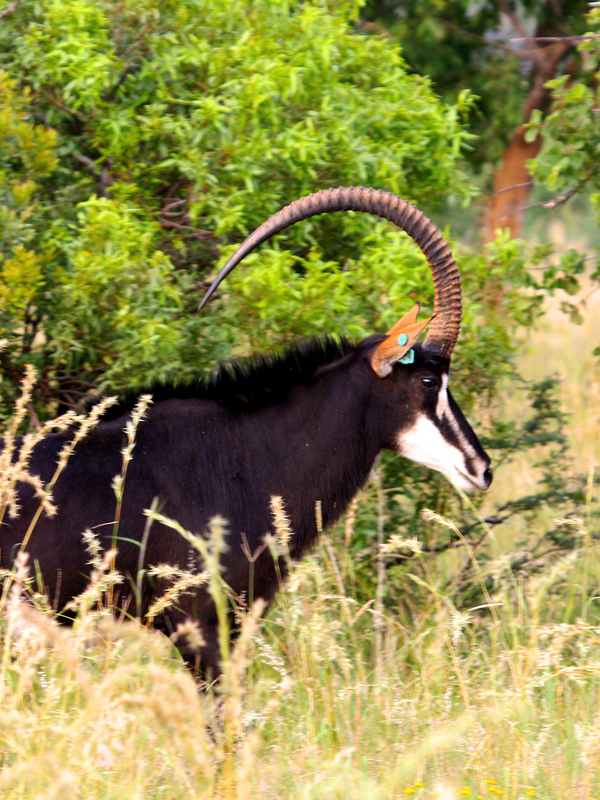 These Roan came from Malawi and were part of the group imported by Dr Johan Kriek. 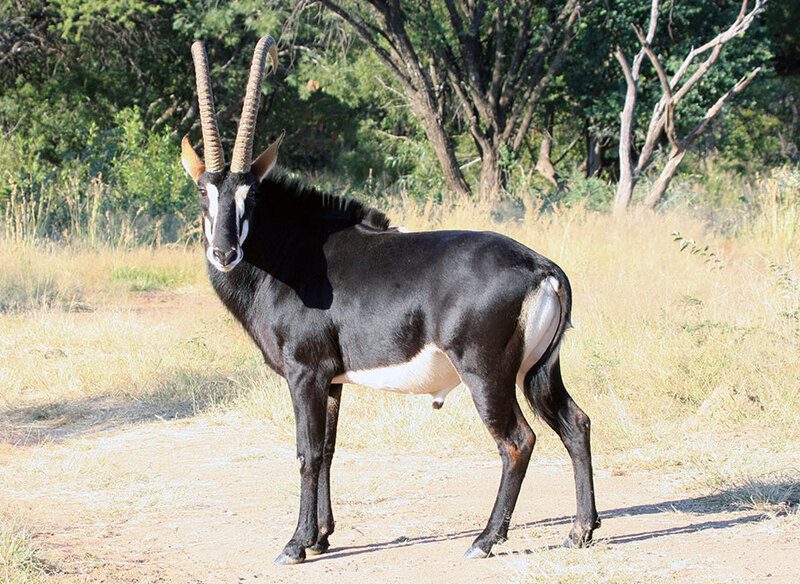 Our newest breeding bull, Bomani– 31” was bought from Lapallala and introduced to one group at the end of December 2015. 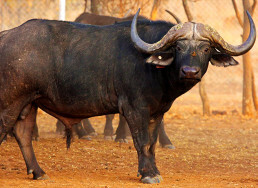 Between January 1990 and June 1991 we imported Cape Buffalo from the Ruhr Zoo, Frankfurt Germany which originated from Uganda. 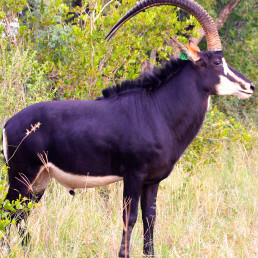 These Buffalo formed the breeding nucleus of the disease free herd. 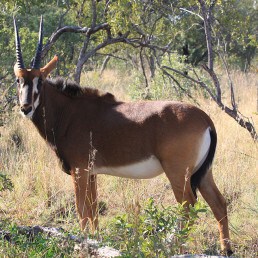 These Buffalo were all free roaming on the 4500ha reserve until 2010 when the whole group was captured and the bulls split from the breeding herd and moved to smaller camps to manage more closely. 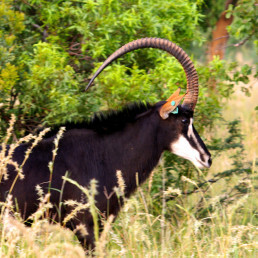 The famous bull, BRITS from Jacques Malan, formed part of this free roaming group during his stay on the reserve. 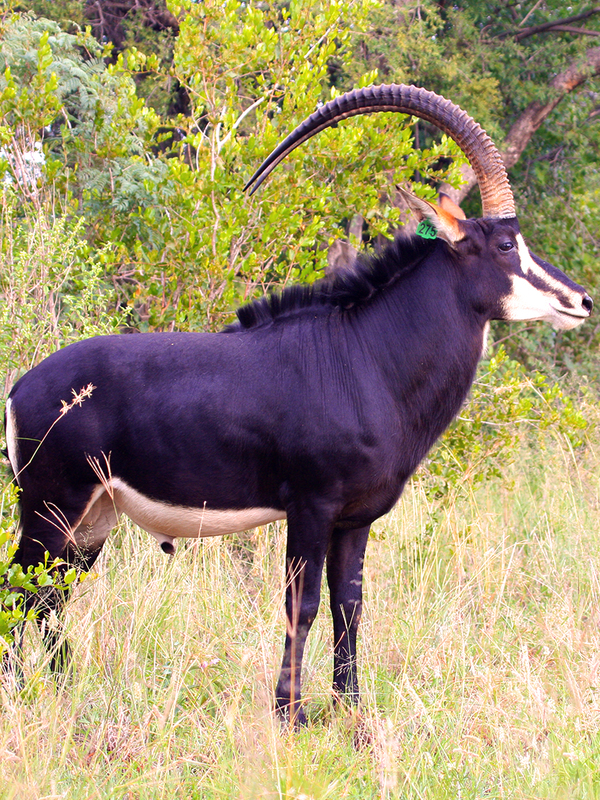 New blood lines were introduced throughout that time and the new breeding bull KADEPO 44” were introduced to cows in November 2013.